Have you seen some of the unique home pieces at Bowties Style? One such piece was recently featured in a home furniture newsletter! 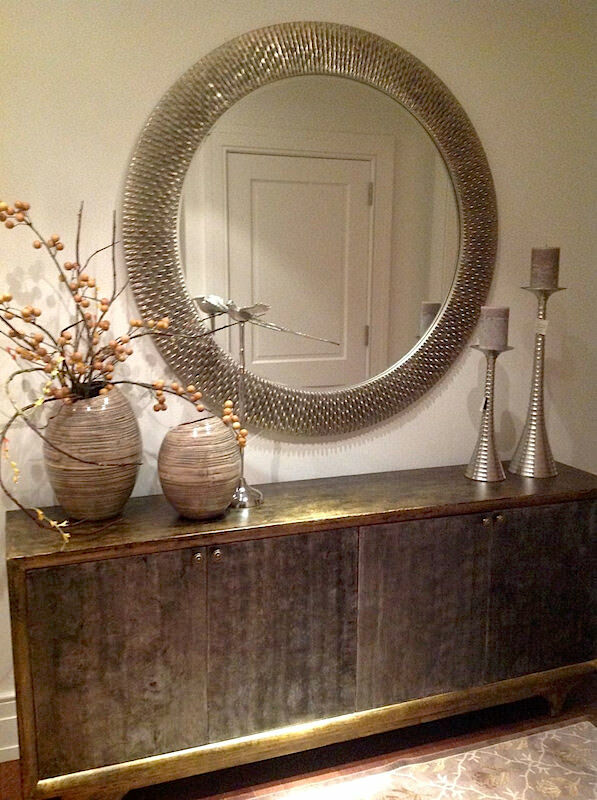 The unique sideboard featured here is made from reclaimed/antique teak/elder wood and is hand colored and finished. This piece was selected for its sleekness and also for the silver/burnished gold tones which were used in metals & fabrications throughout the space. This piece would look excellent in a dining room / great study credenza or even as a console under a flat screen TV. It has lots of options! Bowties has a small number of unique sideboards in our store. Each piece is one-of-a-kind, so come in to Bowties today and see how a similar piece could fit in your home!